It is the middle of summer break for Peruvian school kids. It is hot and humid and most kids (and adults…) will do anything to head to the beach or the public pool, or get their hands on an helado or cremolada. Most kids are a bit bored at home and are eager to find activities to do. Especially in rural areas, mothers are working more than they normally do, particularly planting rice. Many children are also working long days planting rice alongside their parents. Others kids and families are off in the mountain regions or in Lima visiting relatives. 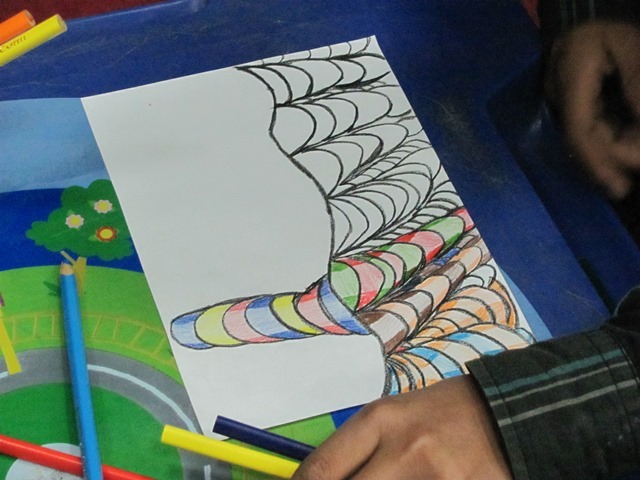 ‘Wavy lines’, a warm-up drawing activity. Thanks to Once Upon a Family for the idea! 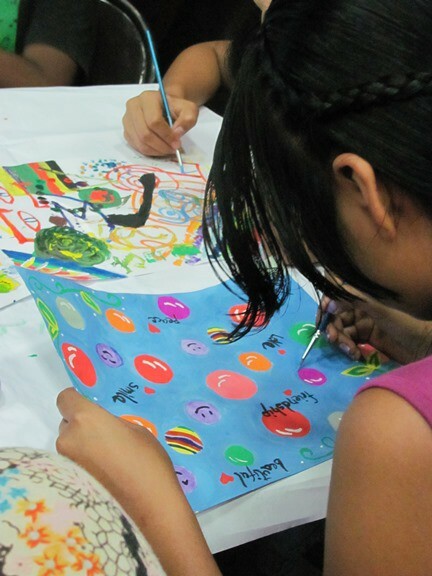 Each drawing is very unique and the youngest and oldest participants had a lot of fun with it! 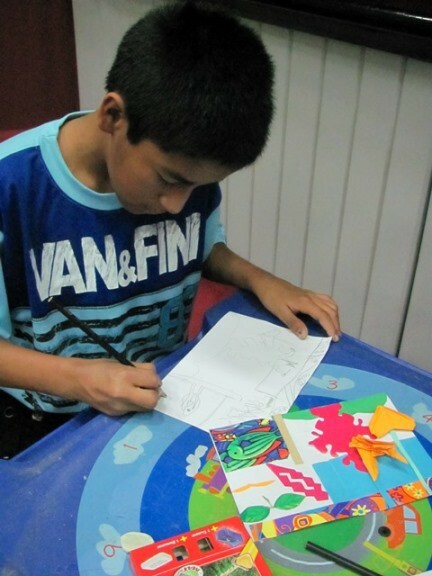 Making collages and then drawing them–the kids had a great time with this! 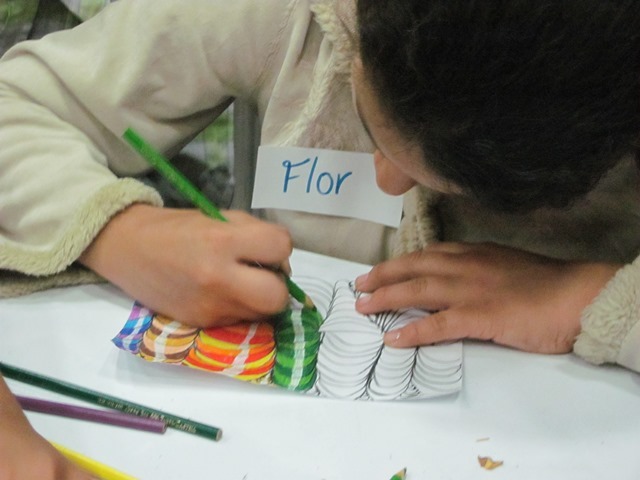 pencil crayons together to match the colours in their collages. 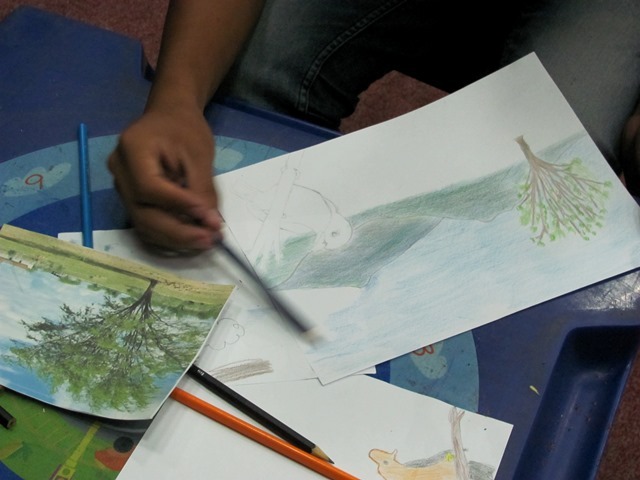 They will be finishing their drawings at the beginning of today’s class. Drawing from photographs. 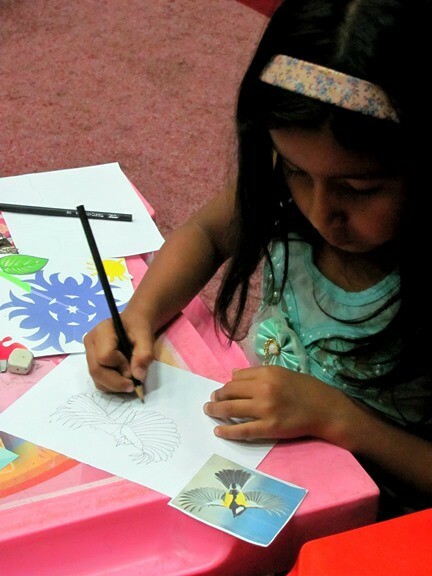 This 8-year-old girl is one of a few participants who does not participate in Project Chiclayo, but rather, in other Centro Esperanza programming in a more rural area. She is an amazing little artist! to be officially started this morning. 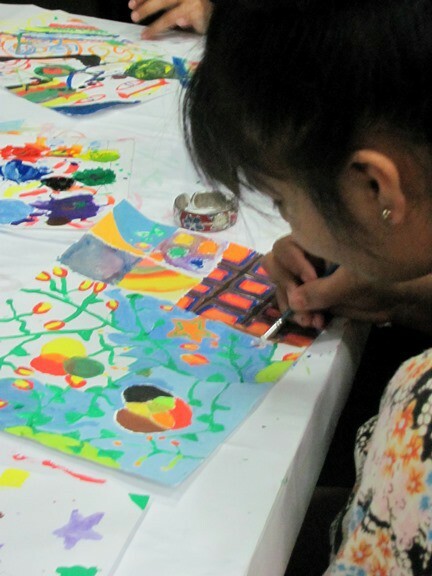 In the first painting class, students first painted a background to cover their page. Then they learned how to draw 3-D letters. 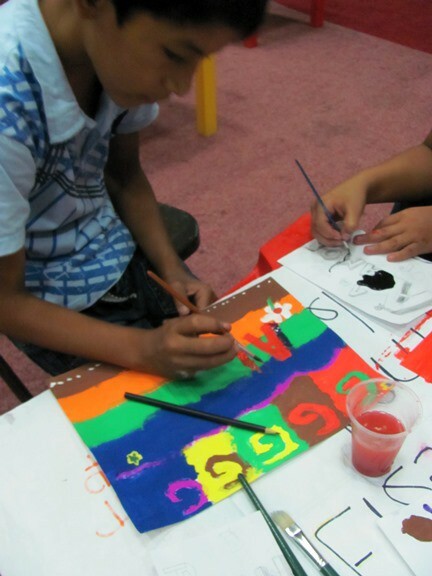 In the second class, they painted a value (friendship, love, respect, etc.) in 3-D or bubble letters on top of the background. Some backgrounds were very detailed. where she studies English. She decided to paint several English words on her background. he certainly found a way to use many colours in each one! Well, mis amig@s, it is time to head to this week’s drawing class. 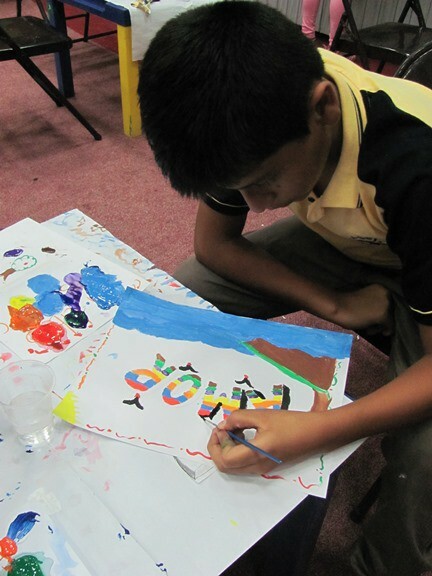 Wonderful to see this budding artists …. Ciera – you are planting so many seeds!!!! I am so happy to be able to keep them busy over the summer. 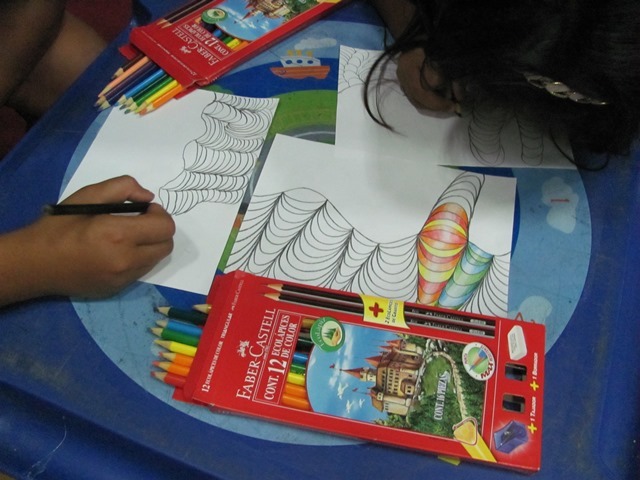 They are very enthusiastic so it is very fun to guide them in the creative process.